Care Packages for Soldiers: "Thank you very much for your support." "Thank you very much for your support." We received a thank note and a couple of pictures from a Chaplain that just received the care packages we mailed in the middle of March. The pictures show how excited the soldiers get when they receive the boxes filled with the goodies. Thank you very much for your support. 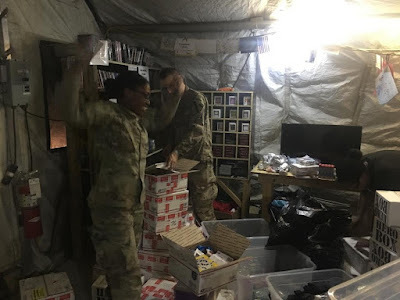 We just received the packages yesterday and it means the world to our Soldiers. We try to assemble them in a way that Soldiers are able to share from the packages. Words are not enough to say thank you, but may God continue to bless everyone that has taken time out if their busy schedule to be a blessing to us. 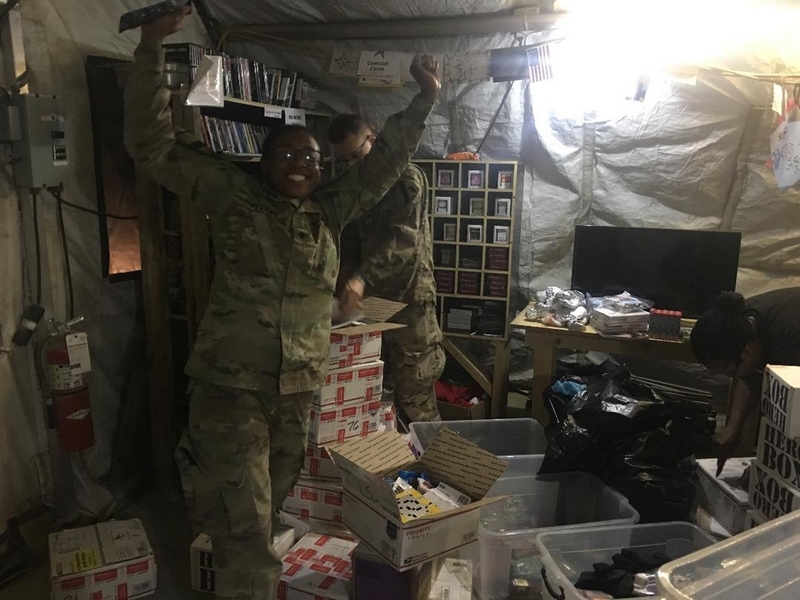 This soldier seems very excited to receive the care packages we sent last month.. The boxes contained toiletries, snacks and some Texas themed items.